You know that it’s a slow day in the world of football news when horse flu dominates the back pages, but The Sun at least found a way to squeeze in a picture of Ole Gunnar Solskjaer and a headline of ‘OLE’S VARCE’, because ‘OLE GUNNAR SOLSKJAER, Pep Guardiola and Mauricio Pochettino were slammed by Uefa for snubbing a Champions League seminar about VAR’. Naughty Ole (and Pep and Mauricio). But mostly Ole because Ole sells papers. 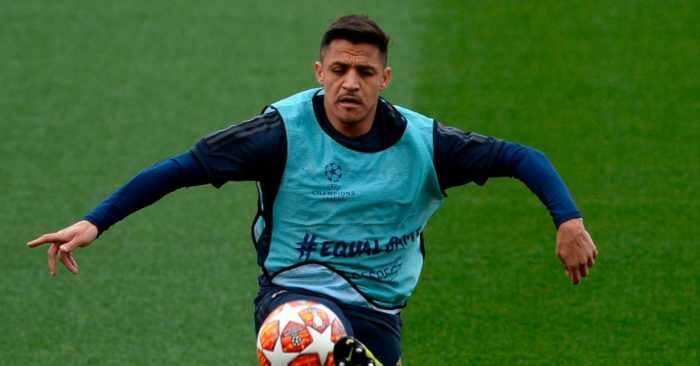 So 11 (eleven) managers ‘snubbed the Champions League seminar about VAR’. 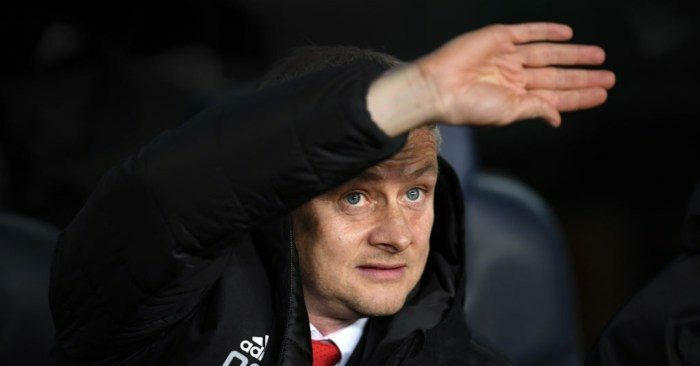 The Sun are not hiding their desperation to see Ole Gunnar Solskjaer appointed as United manager, with the two Neils teaming up to add to the growing mountain of goodwill being shoveled in the direction of the Norwegian. 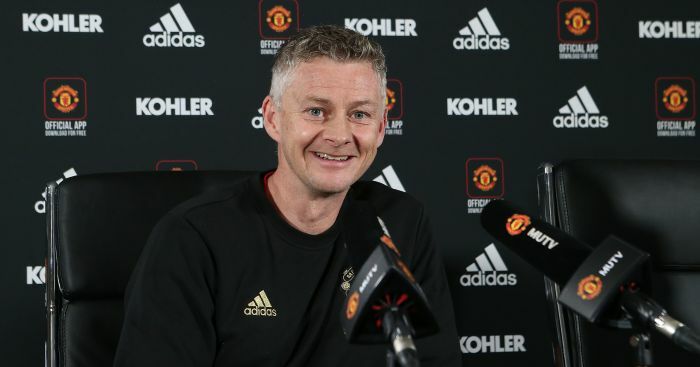 ‘MANCHESTER UNITED players are queuing up to sign new deals in the belief that Ole Gunnar Solskjaer will be made permanent manager,’ writes Custis. No fella, they are queuing up to sign new deals because the last bloke – who you defended to the hilt – has gone. Oh and Phil Jones would have signed a new deal if Chris Hutchings was in charge. 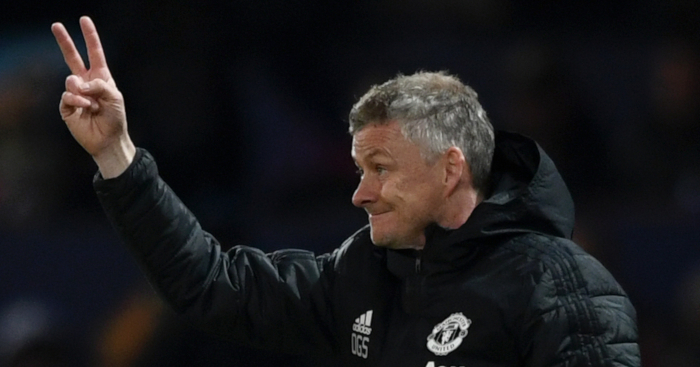 ‘Solskjaer’s scouting trip to Paris Saint-Germain last weekend, following by a black-tie appearance at Vincent Kompany’s charity bash on Monday, is part of the manager’s work at Old Trafford. Are we still talking about the Manchester United manager’s job, or is he auditioning for the role of the next James Bond? The Sun would probably give him both. Firstly, only in football do we all pretend that there are only 50 weeks in a year. If De Gea really is earning £400,000 a week – and they do seem pretty sure – then he will be signing a £104m contract. We know it’s easier to multiply numbers by 50 than 52, but we suspect footballers do get paid for every week of the year. It’s an odd dance we all do. But is he really getting paid £400,000 a week? 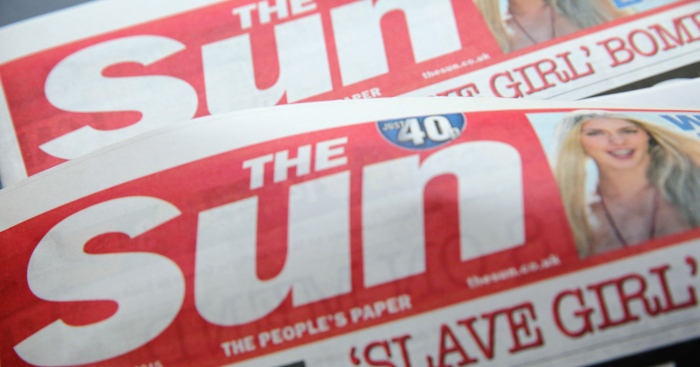 This whole Sun story is based on what ‘the Metro claim’. And what do the Metro claim? And it’s that ‘around’ that gives The Sun a licence for a £100m headline. We feel a little for the Daily Mail’s Pete Jenson – an in-depth interview with Malaga’s Jack Harper reduced to a headline of ‘I PREFER IRN-BRU TO SANGRIA!’. He might be regretting that throwaway line in the 18th paragraph. But a lesson might have been learned – never, ever give the Mail subs an excuse to resort to lazy national stereotypes. Mediawatch is among those slightly uncomfortable about the public defenestration of Liam Neeson; we were interested to read John Barnes’ comments, and although we would hesitate to give Neeson “a medal”, it’s easy to see Barnes’ point that racism will not be tackled by stringing up individual scapegoats. And Neeson was clearly ashamed of something he had thought and felt fully 40 years ago. So we were largely nodding along with Matt Dickinson in The Times, though the nodding paused when he suggested that castigating John Terry for – as the FA decided – calling Anton Ferdinand a “f***ing black c***” was something we should all feel guilty about. Barnes himself has said that he “would never, ever say John Terry is a racist” but that surely does not mean that we cannot think ill of anybody who would use those despicable words. If it’s really just the fault of society, why aren’t we all saying those things? But Mediawatch is happy to concede that Barnes – and Reni Eddo-Lodge, author of Why I’m No Longer Talking To White People About Race – know rather a lot more about racism than we do, so we continue to read and keep an open mind. Until we realise about two-thirds of the way into Dickinson’s piece, that he is using Neeson, and Barnes, and Eddo-Lodge, and Terry, and Suarez, simply to reach a point where he can defend his mate Mark Sampson, the former coach of England Women, who coincidentally gave his first newspaper interview after being sacked to Dickinson. Is he ‘part of the solution’? 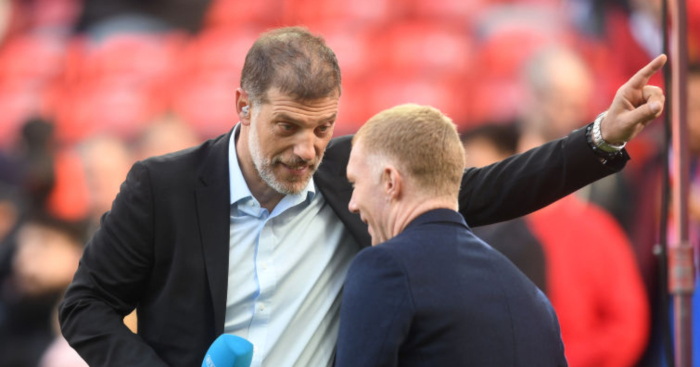 Is a man who asked a black player to make sure her Nigerian relatives did not bring the Ebola virus to a game at Wembley, ‘part of the solution’? Is a man who asked a mixed-race player how many times she had been arrested, ‘part of the solution’? Is a man who then castigated those accusers (and Dickinson was more than willing to help in the smearing of Eni Aluko), denied he had ever said such things, then later admitted them, ‘part of the solution’? So he has not apologised for saying those horrendous, racist things; he has apologised because they were offended. A classic non-apology apology. Textbook. He even threw in a “I believed strongly that the way the team worked, if I had said something that offended anyone it would have been brought up at the time. I was wrong.” Lovely bit of victim-blaming there. This really is a lesson in how to apologise without taking any real responsibility whatsoever. And this is after he had taken time ‘to think about his attitudes, conscious or otherwise’. Oh but were you not listening – ‘Sampson has taken the time to go on a six-week education course’! The independent barrister Katharine Newton, who concluded that he had ‘made ill-judged attempts at humour, which, as a matter of law, were discriminatory on the grounds of race within the meaning of the Equality Act 2010’ after a thorough investigation, said that she would be making “express recommendation that he should attend equal opportunities and diversity training as soon as possible”. And now we are supposed to give him credit for attending a six-week education course that was basically demanded by the barrister who found him guilty of making racially discriminatory comments? And suggest that he may now be ‘part of the solution’ on the back of that course? ‘It makes me think of another incident some years ago and calling David James, the former goalkeeper, for his reaction. I was expecting outrage. I recall my shock, irritation even, that he would not bite. Surely you must be angry, I said. He shrugged. Why launch at one soft target? What good would that do? Agreed. But presenting Sampson’s ‘apology’ and attendance of a pretty mandatory training course as evidence that he could be ‘part of the solution’ is even more simplistic than the ‘tearing down’ of those who have – let’s face it – said some pretty horrendous things.